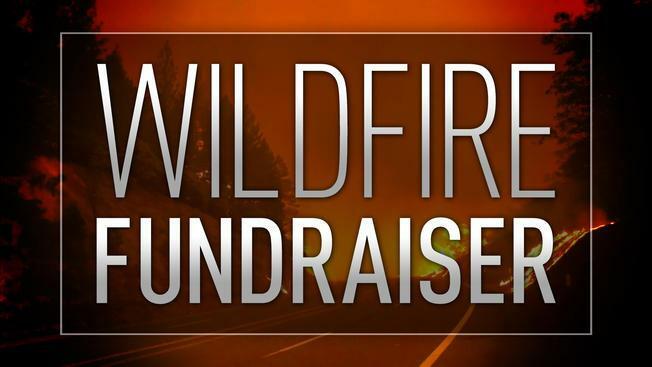 NBC Bay Area and Telemundo 48 are teaming up with United Way Bay Area to host an all-day fundraiser on Tuesday to assist relief and recovery operations for people affected by the devastating wildfires in Northern and Southern California. Kris Sanchez reports. NBC Bay Area and Telemundo 48 Área de la Bahía viewers answered the call to help the victims of California wildfires on Tuesday. The stations joined forces with United Way Bay Area for a one-day fundraiser, raising over $150,000 to assist relief and recovery operations for people affected by the wildfires in Northern and Southern California. The one-day telethon and online fundraiser ran from 6 a.m. to 7 p.m., and NBC Bay Area and Telemundo 48 aired live updates in both English and Spanish throughout the day asking viewers to donate. "The outpouring of support we received from the community in just one day was amazing, and donations are still pouring in. Once again our viewers have shown their generosity and willingness to help our neighbors in need," said Stacy Owen, President and General Manager of NBC Bay Area and Telemundo 48. "We want to make sure the individuals and families impacted by the wildfires know they have the support of their community in this time of healing and rebuilding." "The extraordinary reach of NBC Bay Area and the trust their viewers place in them unleashed inspiring generosity," said Anne Wilson, CEO of United Way Bay Area. "We are so grateful for the confidence contributors have placed in United Way to support immediate community needs and to be there for the longer path to recovery." The funds are being administered by United Way of Northern California and United Way of Ventura County and United Way of Greater LA, which will allocate and distribute funds to support impacted counties. The cash aid will help individuals move on from the shelters and will be used to help find temporary and permanent housing, make up for lost work wages, cover transportation and relocation costs as well as extra money for food and gas. • Donate online at the United Way of Northern California website. administered by United Way of Northern California and United Way of Ventura County and United Way of Greater LA, which will allocate and distribute funds to support impacted counties. The cash aid will help individuals move on from the shelters and will be used to help find temporary and permanent housing, make up for lost work wages, cover transportation and relocation costs as well as extra money for food and gas.